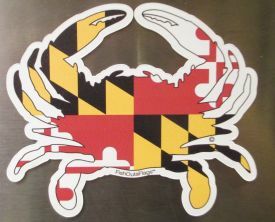 Show your Maryland pride with the crab shaped magnet featuring the Maryland flag. Designed in Maryland! Measures 5"x4"